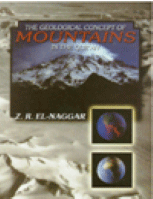 This book highlights the facts that were not known before the turn of the 20th century, and have just started to be understood within the framework of the recently introduced theory of landforms and plate tectonics. These point only to a single aspect of the miraculous nature of the Qur’an, namely its scientific notions. Among an endless list of evidences that go far beyond the scope of this publication, such explicit, precise and comprehensive scientific statements provide an eloquent testimony to the belief that the Qur’an is the Word of the Creator. Hence, it is the basic source of Divine guidance to man, at a time when all previous revelations have either been lost or distorted.